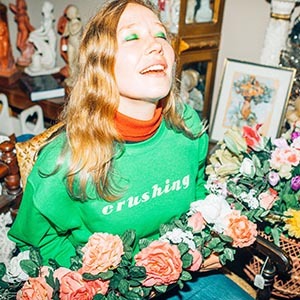 The second full-length albu m from Australian singer/songwriter Julia Jacklin, Crushing embodies every possible meaning of its title word. It’s an album formed from sheer intensity of feeling, an in-the-moment narrative of heartbreak and infatuation. And with her storytelling centered on bodies and crossed boundaries and smothering closeness, Crushing reveals how our physical experience of the world shapes and sometimes distorts our inner lives.